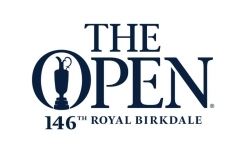 The picks and round one standings for the 3rd major of the year are on the site. We chose 37 golfers. Fowler is the favorite, picked 13 times. Spieth and Garcia tied for runner-up fav, on 12 teams each. Nine of us like Rose. Matsuyama and Fleetwood were chosen 7 times each. Rahm is on 6 teams. D.J. got the nod 4 times. Mickelson is the only trey. We've got some sort of record for deuces. Koepke, Noren, Scott, Stenson, Haas, McIlroy, Howell, Molinari and Reed are all playing deuces. Snedeker and Lingmerth are non-playing deuces. Seventeen uniques for this Open Championship. Oliver and Joe lead with 3 each. Chris, Dave and Mike M. have 2 each. Randy, Andrew, Hugh, Dan and Mike D. have one each. The other six of us won't know Open Championship glory through a unique.